FFA - Hyatt hosted CAIR Islamophobia conference. 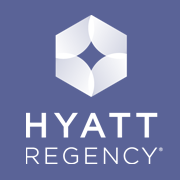 Click here to send your email to voice concern to Hyatt officials regarding the use of their facility by the Hamas-Muslim Brotherhood linked Council on American Islamic Relations to advance propaganda that suppresses free speech in a manner that adversely impacts public safety. The Council on American Islamic Relations hosted several workshops at the Hyatt Regency O’Hare from September 1 through September 5, 2016 during the same time that the Islamic Society of North America is holding their convention across the street at the Donald E. Stephens Convention Center Rosemont, Illinois. CAIR removed their online post about the event at the Hyatt Regency O’Hare. The Hyatt Regency O’Hare sales office (847-696-1234) confirmed that CAIR was holding several seminars from September 1 through September 5, 2016 before the event. According to a local Los Angeles news report, a neighbor of San Bernardino massacre suspects Syed Rizwan Farook and Tashfeen Malik didn't report suspicious activity at their apartment for fear of being accused of racism. This is the same politically correct culture that lead to the Ft. Hood shooting when Nidal Hassan, who had been spouting violent Islamic propaganda to neighbors on post and reaching out to Al Qaeda, was ignored for fear of "Islamophobia" accusations. Floridatoday.com Mateen’s employer ignored complaints about his death threats because he was a Muslim. "I quit because everything he said was toxic," Gilroy said Sunday, "and the company wouldn't do anything. This guy was unhinged and unstable. He talked of killing people." The desire not to be labeled a racist or Islamophobe will likely result in more people not being willing to report suspicious behavior in the future. Tragically, Islamophobia campaigns are having a chilling impact on the free speech of Americans and helping jihad. 1. When a CBP agent asks you anything beyond identification tell the agent, "None of your Damn Business." 2. If your being questioned and its prayer time, stop everything, prostate yourself, and pray loudly, Brothers and Sisters must not skip their prayers. 3. Immediately call CAIR and file a complaint with us that you were targeted for inspection. 4. On behalf of CAIR I will then file a ‘Mass discrimination Complaint' but I need your help to do it, so file a complaint because we need a lot of them to bring change and justice. CAIR’s Islamophobia campaign and airport security advice will most likely continue to fuel strife between the Muslims they allegedly represent and the rest of America. Worst of all these campaigns will continue to intimidate safety conscious Americans from speaking out for public safety. The behavior of millions of Americans are adversely influenced by various Islamophobia reports and media campaigns involving Muslim flight complaints. Most people who witness the negative branding of prominent organizations and people do not want to have any part of that humiliation. Being branded a racist or Islamophobe can cost a person’s educational opportunities, employment and career advancement. While there is obviously no direct link between any proponent’s Islamophobia campaign and a terrorist act such propaganda suppresses free speech in a manner that adversely impacts public safety. CAIR’s expectation that airlines should disregard Muslim characteristics during the process of exercising due diligence for passenger safety is irrational. Acquiescing to CAIR’s position could have dire consequences. Public safety must take a priority over political correctness. To review a multitude of reasons why many Americans are concerned about the history and agenda of CAIR Click here. Florida Family Association has prepared an email for you to send to voice concern to Hyatt officials regarding the use of their facility by the Hamas-Muslim Brotherhood linked Council on American Islamic Relations to advance propaganda that suppresses free speech in a manner that adversely impacts public safety.